More than 20 MPs have shown support for TeamUK’s success at WorldSkills São Paolo 2015 by signing an early day motion (EDM) congratulating the team for its “fantastic achievements”. The EDM, which had 22 signatures at the time of publication, praises the team’s performance during the competition and “pays tribute to the 40 young people in the team for their hard work and success”. It also “recognises skills competitions for promoting and developing excellence among apprentices and vocational learners, as well as driving up standards in teaching and learning”. TeamUK came seventh in the competition, with a medal tally of three gold, four silver and two bronze, as well as 21 medallions for excellence. 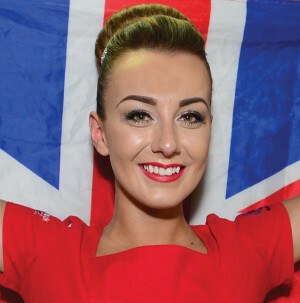 Beauty therapist Rianne Chester (pictured below right), 22 and from Warrington Collegiate, also made TeamUK history by being awarded the Albert Vidal award for highest overall competitor’s score on top of her gold medal. The haul of nine podium places, handed out at the Ibirapuera Gymnasium, was two up on WorldSkills Leipzig two years ago, when Team UK claimed two gold, one silver and three bronze medals, along with 17 medallions of excellence. The EDM was tabled by Redcar MP Anna Turley, who told FE Week: “The young people representing Team UK in Brazil this year have worked incredibly hard and done themselves and our country proud. South Antrim MP Danny Kinahan, who also supported the EDM, said: “I was so impressed by the concept and participation, illustrated in the World Skills 2015 event, that I felt it was every politician’s duty to raise the profile of such an event”. He added that it was particularly important to promote WorldSkills because it “will help encourage our students and apprentices to create, build and improve on the skills that will produce the very excellence that makes our small, medium and large businesses the job creators our economies need”. Another backer of the EDM is Ashton-under-Lyne MP Angela Rayner, who said: “I really believe we must support excellence among Britain’s young people. “Team UK did fantastically well at São Paulo. WorldSkills is the kind of competition which enables young people to develop their skills and open them up to new challenges and demands, which will bring the best out of them. Skills Minister Nick Boles and Prime Minister David Cameron’s apprenticeship adviser Watford MP Richard Harrington were among the guests, as most of the TeamUK’s 40 competitors were honoured on Tuesday, September 8, during a special event at Dean’s Yard, near Westminster, as reported in FE Week. The UK’s official delegate and funding agencies chief executive Peter Lauener and Edge Foundation acting chief executive David Harbourne were also in attendance. It’s always good to see these guys doing well in the world skills. Although I feel the MP’s comments a little rich, considering the funding cuts imposed on the FE section where many of the students have been training. Jumping on the band wagon!